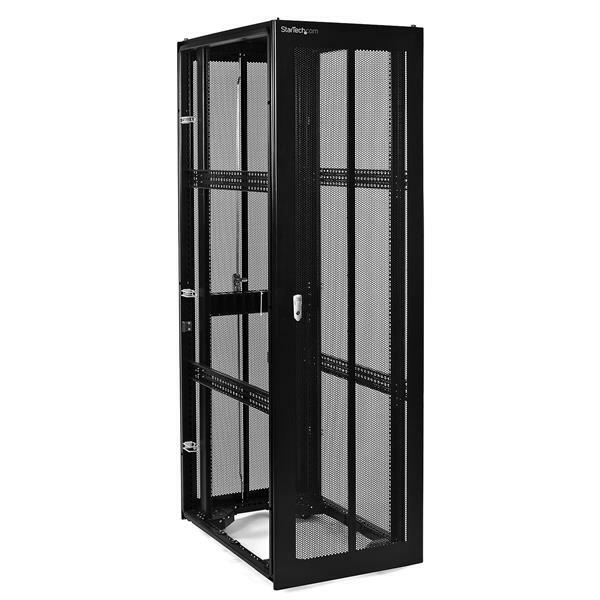 The RK4236BKNS 42U Server Rack Cabinet with Steel Mesh Door (No Sides) offers durable, high quality construction at an affordable price. 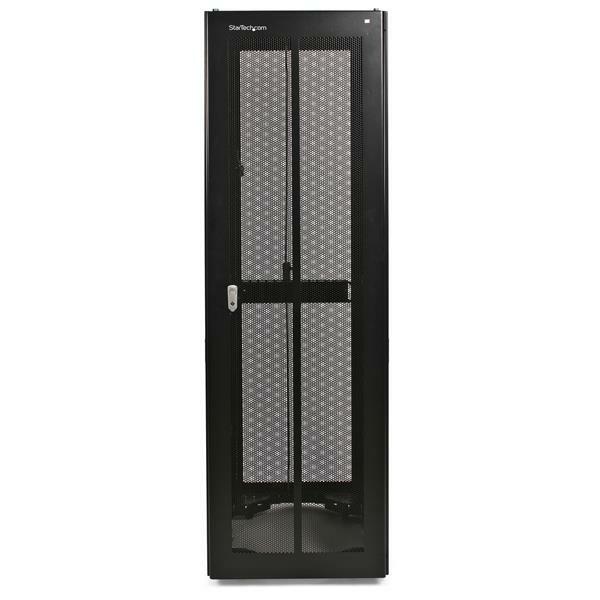 Supporting equipment up to 36in (depth), this 42U rack features a modular design to suit any server room footprint with an innovative split rear door to save space, and steel mesh doors with wide ventilation holes to provide superior airflow compared to similar aluminum rack/cabinets. 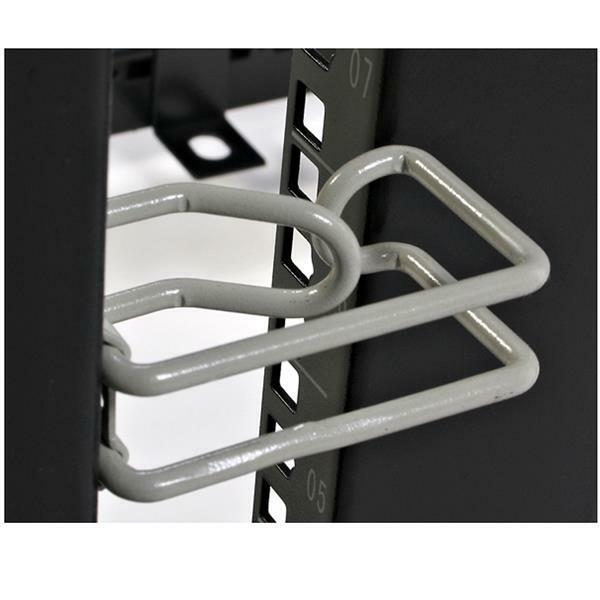 An integrated cable management system with clearly marked rail spacing saves time and hassle while keeping the cabinet organized. 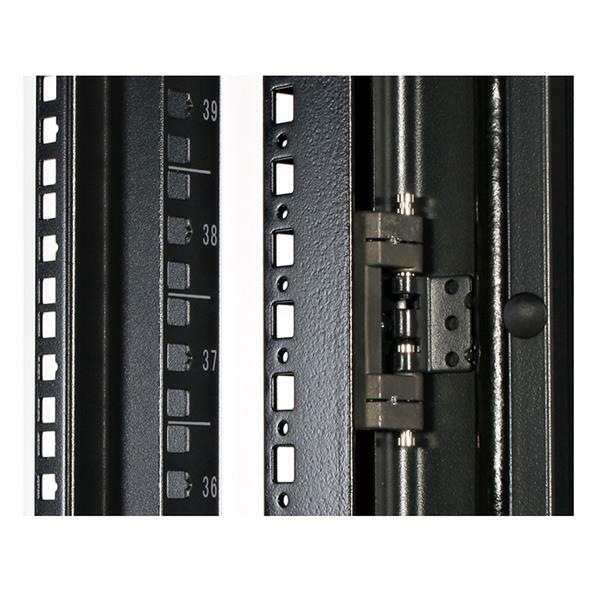 Plus, adjustable front and rear rails allow you to shift mounting depths to suit almost any piece of rackmount equipment. 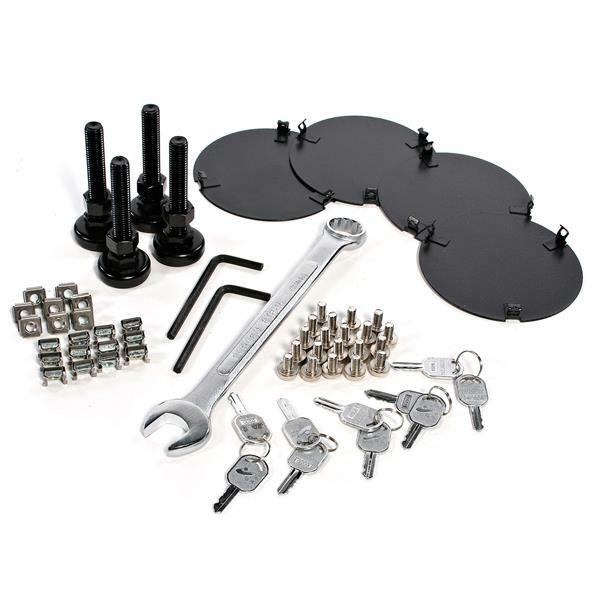 The RK4236BKNS is also available as an enclosed rack (RK4236BK) so that several cabinets can be joined together using only 2 side panels, saving cost and increasing passive airflow.